According to Ervin Laszlo, things that are this way are actually that, and what is a dog is also a cat. Sir, this article has many flaws that I would like to point out. Aside from the fact that you are conflating cosmology and biology in order to set up your essay length straw man, let’s examine the more significant oversight, that evolution and design are not contradictory. The only way for this to make sense is if your definition of design is so nebulous as to mean merely “that which occurs by the process of evolution.” Design is, by common definition, a top-down process, which requires agency for implementation. The fact of evolution is quite the reverse, a bottom up process that requires no agency to function and, in fact, is responsible for the emergence of agency. Your characterization of natural selection as lucky, or too “hit or miss” to evolve complex life, is a strange choice of words. The vast majority of mutations are not what could be considered lucky when acted upon by the environment. They are likely to be rather unlucky, or else neutral. Likewise, the environment acts upon different phenotypes harshly, with the majority of life on this planet struggling to survive and reproduce (often unsuccessfully), and with 98 percent of all the species to have ever lived on this planet having gone extinct. It is mostly those organisms best suited to cope with harsh environmental factors that survive to reproduce, therefore becoming ancestral. Well, yes, that would have to be true by definition. Purpose means "a result, end, aim, or goal of an action intentionally undertaken." Genes are high-fidelity replicators that have no clue who you are and don't care. Evolution contains no unfolding "greater purpose." It, by its very nature, does not undertake intentional actions. Which, I might add, is not depressing in the least, for it has allowed, over 3.7 billion years, the magnificent evolution of biological organisms capable of inventing purpose, wonder, meaning, and love. It’s more reasonable… that the world is without reason? You’ll have to explain that to me at length. I doubt Dawkins would hold that the world is without purpose, for the world contains beautiful agents with meaning and purpose (indeed, one of Dawkins’ purposes is the scientific education of the public, and the fight against irrationality). What you have just posed is the common bait and switch committed so habitually by evolution deniers: “if evolution itself has no purpose or plan, then nothing has meaning or purpose.” Do I have to explain why this is silly? Evolution is NOT a chance process, and any cursory familiarity with the science would have prevented you (we hope) from making this claim. Natural selection acts upon mutations (which happen randomly) in a specified and cumulative (non-random) way. Second, are ANY of the physical laws of the universe “personal,” (how egoistic); and if indeed they are impersonal, should we therefore deny them or hold them in contempt? *I suppose you could argue that they are, in some sense, personal, as they act upon you at this very moment, but I doubt this is what you mean to imply. Which “post-Darwinian biologists?” Can you name them? In fact, ALL biologists recognize evolution as more than chance, because, again, evolution isn’t a random process, and you won’t find but a quack that would claim it was. Hoyle’s Fallacy – Look it up, please. (Sorry to repeat myself, but might you name for us a biologist who would claim a complex organism could be “blown” or swirled into existence, all at once? Is not that ridiculous metaphor instantly recognizable as misapplied to anyone well versed in evolutionary science? Even in grade school we are taught: gradual change, cumulative, over time (well, we are supposed to be taught that, but now the religious have made science their “controversy”). Again, there you go with the “leading-edge scientists?” I would argue that evolution is rather messy, and certainly it is not coordinated in the way you mean (by whom could it be coordinated, and to what end?) Might you explain to us how evolution could conceivably be NON-mechanistic and Indeterminate? With this conflation of biology, cosmology, and theosophical woo, you have gravely overstepped, making an empirical claim about the nature of the cosmos with which no cosmologist would associate themselves. Evolution is not a wave. I realize it’s very new-agey to speak of things as waves, or “vibrations” and such, but the practice is really just obscurantism cloaking some ignorance of the phenomenon in question. Furthermore, the Akashic field is described as “a compendium of mystical knowledge encoded in a non-physical plane of existence. These records are described as containing all knowledge of human experience and the history of the cosmos. They are metaphorically described as a library; other analogues commonly found in discourse on the subject include a "universal computer" and the "Mind of God". People who describe the records assert that they are constantly updated and that they can be accessed through astral projection. The concept originated in the theosophical movements of the 19th century. It is frequently used in New Age discourse.” (Wiki) So, please, don’t conflate it with the very scientific, and very measurable, phenomena of vacuum fluctuation and dark energy. This is theological argument from fine-tuning. But we could not have evolved in a universe that didn’t allow for our evolution. That is a tautology. As such, we wouldn’t exist to discuss our origins. Now, explaining WHY the constants hold the values they do, and whether other possible configurations exist, is an interesting scientific question that is being investigated by, you guessed it, scientists… not by people philosophizing about how strange they find it to be, and concluding: therefore, God. If evolution “presupposes” intelligent design, then why have we all been fighting the good fight? Why have we tried to keep it from the classroom? We must be crazy… Intelligent design was the real science all along. To be summary: Nothing could be farther from pointless. Design is not a necessary assumption. 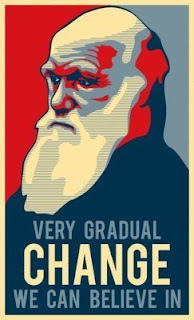 Chance is not evolution. Evolution is not a necessary assumption - it is an observable fact. The RATIONAL conclusion does not involve positing an irrational entity to do that which evolution is capable of doing itself, thereby calling for the explanation of said entity’s origins - getting you nowhere but an infinite regress. I would also point out your use of the prime mover argument, the cosmological argument, Hoyle’s Fallacy, the argument from complexity, and the argument from fine-tuning. Enter all of these into a search engine, and you will find that those who employ these debunked arguments are almost always for one conclusion – God. “Then why the controversy?” - I suppose we were just hopelessly confused through all these years, until you pointed out that what is science and what is not science are actually the same thing. This Laszlo person needs to go back and learn what the theory of evolution and science are before giving an opinion. Seriously, I think this guy was asleep during science class in school. That's true... Except, I also slept through science class, I'm afraid. Wow I have never heard such irrational nonsense in my life. The fact is that you have an agenda: atheism and you are pushing it against those with another agenda: God. The very simple fact that you may have overlooked in your arogance and ignorance is that whether or not a supreme being exists we are here by chance regardless. Somhow potential manifested in form through substance and here we are. Neither argument for or against God carry more weight. As for Occam's razor which you atheist idiots like to pull out of your rectums so frequently its a bunch of nonsense. The fact that we are here in existence at all is fundamentally without simple explanation and therefore the more simple assumption would not be existence without a supreme being. "Somhow potential manifested in form through substance and here we are." As I read it, Occam's razor (to which I did not refer) is a bunch of nonsense, but only temporarily, as you attempt to use the principle of parsimony (badly) in your very next sentence. Next time demonstrate how it is that I have been irrationally nonsensical, as charged, and we might have an interesting exchange. I don't understand you or him how about that? Its all nonsense and no facts.Just talk.Just opinion.